Victims of catastrophic injury can face overwhelming physical and mental pain. The resulting stress and financial burden not only affect the victim, but often their entire family. With such personal and far-reaching implications, catastrophic injury cases require legal representation that can obtain the full restitution that victims are due. If you or a loved one has suffered any type of bodily injury as a result of another party’s negligence, attorney Chris Olsen can aggressively represent your catastrophic injury lawsuit. Contact our San Diego office today to learn how his expertise can help you begin the road to recovery. Traumatic brain injury: The disruption of normal function means that traumatic brain injury victims may suffer short-term or long-term cognitive, behavioral, psychological, or physical impairment. Motor vehicle accidents are the leading cause of traumatic brain injuries. Other common causes include slip-and-fall accidents, physical assault, and construction site accidents. Spinal cord injury: Victims of spinal cord injuries can face a lifetime of permanent disability and paralysis, most often caused by a traumatic impact that fractures the spinal cord. Similar to brain injuries, motor vehicle accidents are the number one cause of spinal cord injuries, and are responsible for nearly half of all incidents. Birth injury: Injuries sustained during birth can affect a child for the rest of their life. Common birth injuries include cerebral palsy, Erb’s palsy, hydrocephalus, seizures, developmental delays, and more. Burn injury: Burns can cause ongoing and excruciating pain, scarring, loss of mobility, risk of infection and amputation, and nerve, muscle, and tissue damage. Burn injuries usually require years of physical therapy and multiple surgeries to help a victim achieve a reasonable level of comfort and mobility. Sadly, catastrophic injuries can be caused in countless ways. 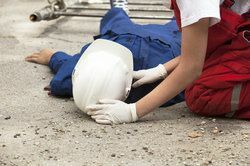 The best way to determine whether your unique situation can be classified as a catastrophic injury is to seek the advice of an experienced lawyer. Over the last several years Attorney Olsen has won millions of dollars in damages for clients who have been victimized by unsafe work environments, medical malpractice, car accidents, and other form of negligence. He has developed a strong reputation for aggressively pursuing big business, employers, and other parties who were found to be at fault, while treating his clients with dedication and compassion. Although Attorney Olsen attempts to arrive at a fair settlement during pre-trial negotiations, he will not hesitate to take a defendant to court. Over the years, his clients have benefitted from his thoroughness, strong advocacy skills, and genuine dedication to each client's well-being. The stress, pain, and financial burden associated with a catastrophic injury are difficult to bear alone, and victims need adequate compensation to begin healing. If you think you may have grounds for a lawsuit, reach out to our firm today. Schedule a consultation with Mr. Olsen to learn more.